After looking through this year’s Burgess catalog, I was really intrigued by the Hardy Kiwi for sale. I haven’t been gardening for too long, but so far I’ve only heard of one person trying to grow Kiwi in Idaho, and that was my Uncle Steve. He mentioned it in passing one time, and he stated that his attempt failed. Nevertheless, I figured that for ~$14 for two female and one male kiwi plants, it would be worth a try. I have some spare room along one of the fences in my backyard and I’ve been looking for something fun to plant there. In this post, I just want to write down some notes from the research I’ve done about Hardy Kiwi. It’s still winter, so it will be a while before I plant anything and maybe a couple years before I actually harvest anything (assuming it survives). Hardy Kiwi’s can supposedly grow in Zones 4-10. They bear fruit that is much smaller than a commercial kiwi, but is also sweeter and tastier. Hardy Kiwi needs about 150 no-frost days to yield fruit. There’s about a 50% probability of this in my area near Boise, Idaho, but the fruit can also finish ripening in the fridge after picking it, so there’s some wiggle room. Hardy Kiwis usually ripen in October. Also, kiwi vines can endure a gradual (but not a not sudden) fall frost. NOAA has a great site to look up frost information for your area. 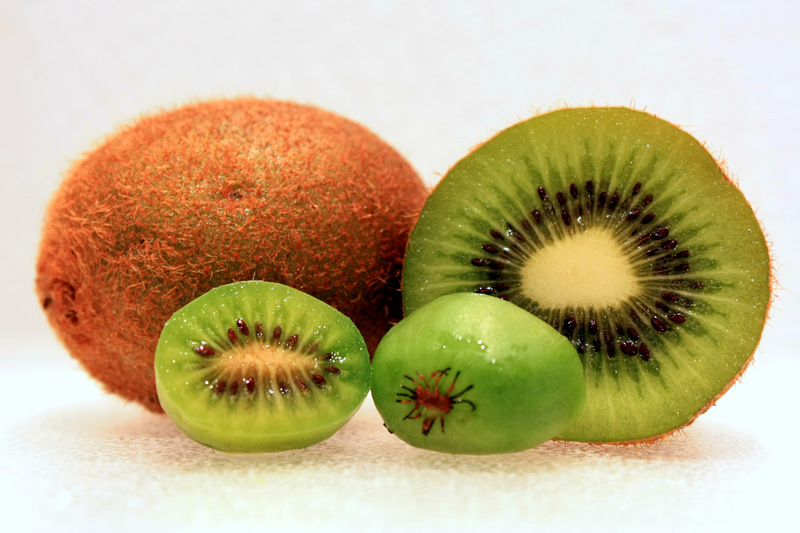 Kiwis are dioecious, meaning that each plant is either male or female. In order for the female to bear fruit, it needs a male nearby to pollinate it. Most information I’ve found says that you need one male for every nine females for proper pollination. I’ve decided to purchase one male and two females just because I don’t have room for much more that that. Besides, at this point I want to see if they actually survive. I’ve seen information indicating that the plants will bear fruit anywhere from 2-4 years after harvest, with maturity around 5 years. Hardy Kiwi’s are said to grow similar to grapes. They grow as a vine and climb up trees and other sturdy objects. The Burgess catalog says that kiwis can grow as much as 5″ per day in optimal conditions. Vines can grow as much as 20′ in a single season. The plants can eventually get 40′ long. A trellis or something similar is required to grow and harvest the fruit. I plan on building a fairly small trellis, and being fairly aggressive in pruning. Hardy Kiwi should be pruned two or three times during the growing season and once during the winter to encourage fruit production. At this point, I am unsure exactly where to plant. Various sources say that kiwis should be planted on a north side so that the winter lasts a little longer (more shade in spring) and the vines don’t jump the gun before the last frost. I plan on planting on the north side of a fence, so this isn’t an issue. What I’m more unsure of is how much sun they need. I’ve read some sources that say full son is fine; however, most people give this same information for blueberries, and I found that to be very wrong in Idaho where summers are hot (105F+ max) and dry. I’m thinking I will plant the hardy kiwis close enough to a tree to get some afternoon shade, which works best for the blueberries I’ve experimented with. Hardy Kiwi is susceptible to root rot, so mix in organic matter when planting and plant in well-drained soil. Soil pH should be 5.5-7.0. Kiwis are also very sensitive to fertilizer, so avoid fertilizing them at planting. After a year, minimal amounts of fertilizer may be applied. Hardy Kiwi can be propagated using cuttings. Both hardwood and softwood cuttings work, but softwood cuttings work better. Take hardwood cuttings during the winter when the plants are dormant. Take softwood cuttings in July. You can also plant the seeds from the fruit, but half will be male and half female and you won’t know which is which when you plant it. Kiwis can bear in two years from cuttings and in three years from seeds.